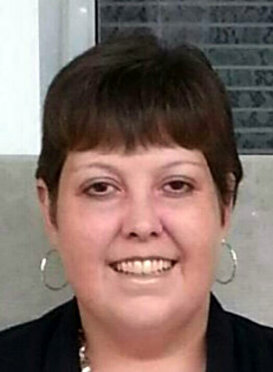 Funeral services for Tamela Louise Wheeler, 42, West Plains, Missouri, will be held at 2:00 p.m., Thursday, February 7, 2019 in the Rose Chapel at Robertson-Drago Funeral Home. Ms. Wheeler passed away at 7:28p.m., Sunday, February 3, 2019 at Barnes-Jewish Hospital, St. Louis, Missouri. She was born March 7, 1976 at Mountain View, Missouri to Lloyd Wheeler and Jessie Lorene Wheeler Hitzfield. Ms. Wheeler had worked at Hardees; she enjoyed flea marketing and spending time with her nieces and nephews. She was of the Baptist faith. She is survived by her brother, Alan Dudgeon and wife, Tami, West Plains, Missouri; her sister, Debbie Walker and husband, Bobby, Dora, Missouri; five nieces and nephews, Christy Hicks, Tasha Phegley and husband, Anthony, Dalton Woodley and wife, Shakara, Lane Dudgeon and Tate Dudgeon and fiancée, Daegan Sympson; and her aunts, Irma Jones and husband, Gaylon, Kansas City, Missouri and Melba Rothermich and husband, Tom, Willow Springs, Missouri. Her parents and several aunts and uncles preceded her in death. Visitation will be from 6:00 until 7:00 p.m., Wednesday at Robertson-Drago Funeral Home. Burial will be in the Howell Memorial Park Cemetery. Memorial contributions may be made to the Family and left at Robertson-Drago Funeral Home. Debbie, I am so sorry for the loss of you sister. Prayers coming your way.